I am not a great baker, I don't know if it is because I am inpatient or just bad at it, but normally I don't bake. Since my husband is a fabulous cook, he handles most of the cooking. 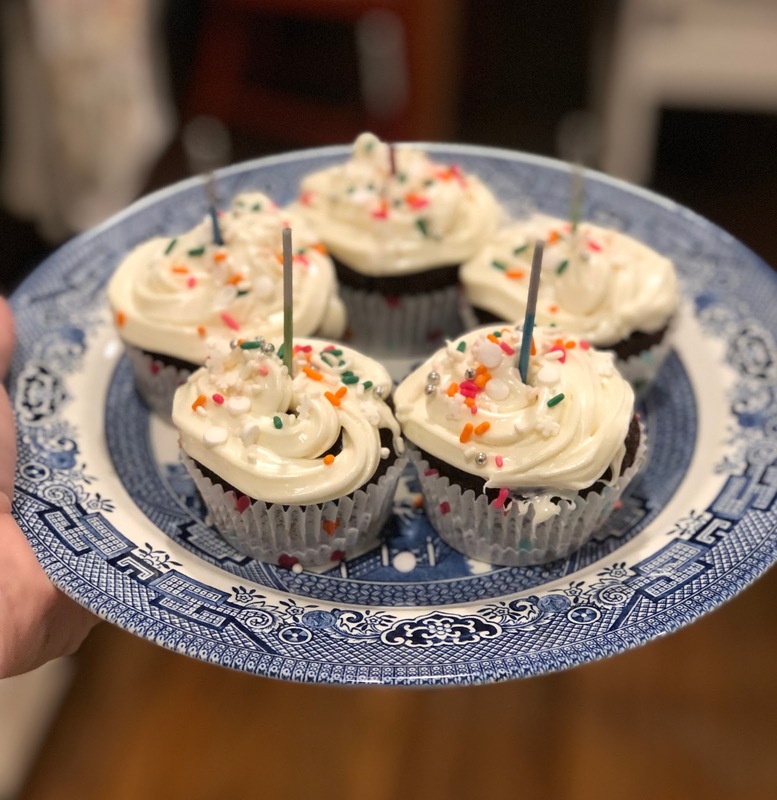 This past week I baked three things and each one of them came out perfect and were delicious. I have decided that while I don't succeed in the regular baking arena at the moment, I seem to be quite the gluten free baker. I made two different batches of gluten free muffins and the gluten free chocolate cupcakes above. I have also made gluten free brownies and they were amazing as well. Maybe gluten free baking is an area of baking I can master! With the weather warming up nicely we have been spending more and more time outside. I am not someone who wears a baseball hat often, but I have been wearing two of them more often, it helps to keep the sun off my face while watching lacrosse games and walking Millie. I have an ATL hat and a PBI hat that I love. Airport code hats are so fun, don't you think? I got mine from different sources (ATL from a local shop and PBI from Skinny Dip Palm Beach) but you can order from a full collection here. This shop has the largest collection I have seen, and also carries shirts. It is most definitely white jean weather, although I wear my white jeans all year long. My favorite white jeans are no longer available but I found some amazing options for you. 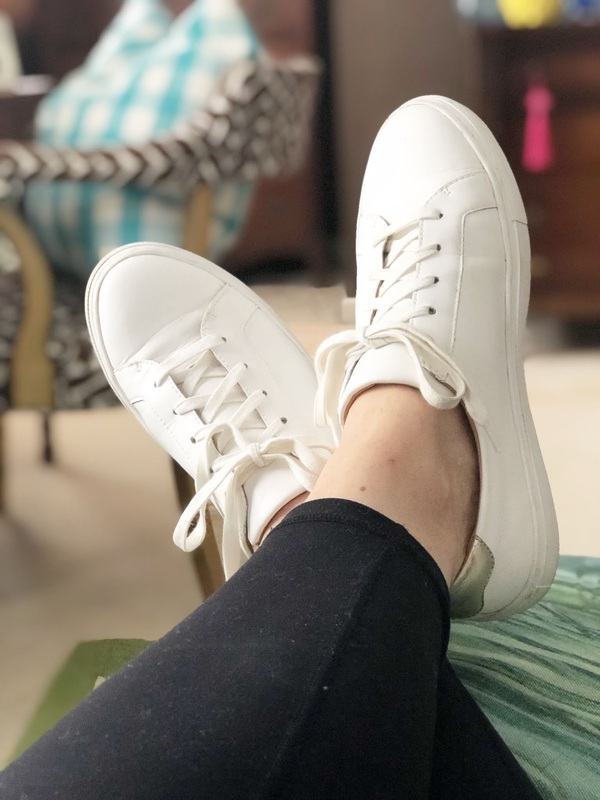 My go to source for white jeans is always Loft, they are thick and I love the fun ankle options. I found some great ones from Loft and a few other great options. This pair I found and really like is on sale for $35 with the coupon code. Every single time I take a photo with my sunglasses you all want to know where I got them. These sunglasses are fabulous and look so expensive, but are the best price. You can shop them here. I also get a lot of questions about the glasses I have been wearing lately. 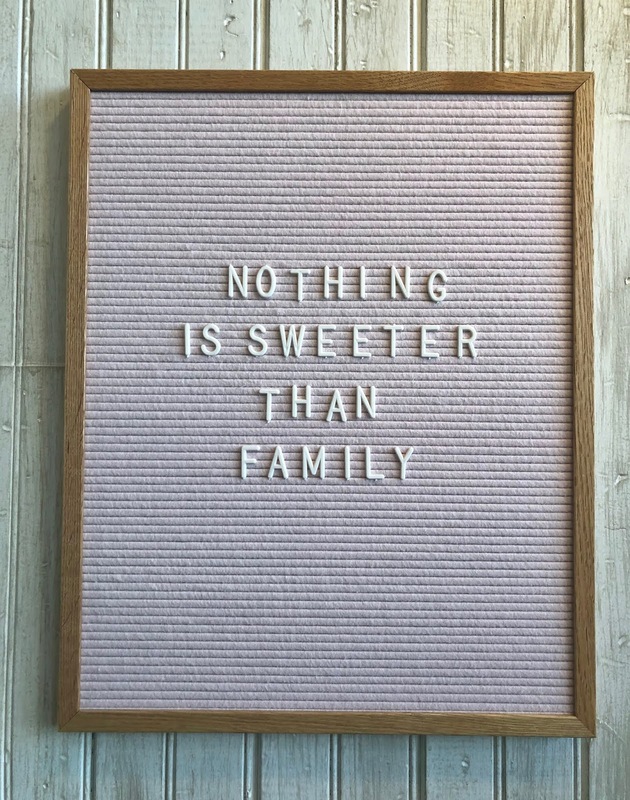 You can shop them here, such a cute frame at a fabulous price. 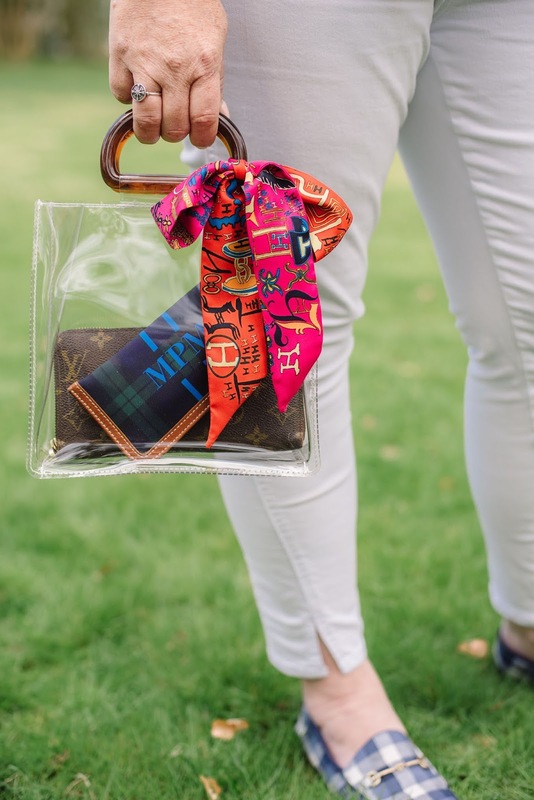 I also rounded up all my favorites from this shop from their new arrivals. Bring on all the spring entertaining please + thank you! I think this dress would be amazing for Easter, so pretty and so comfy! 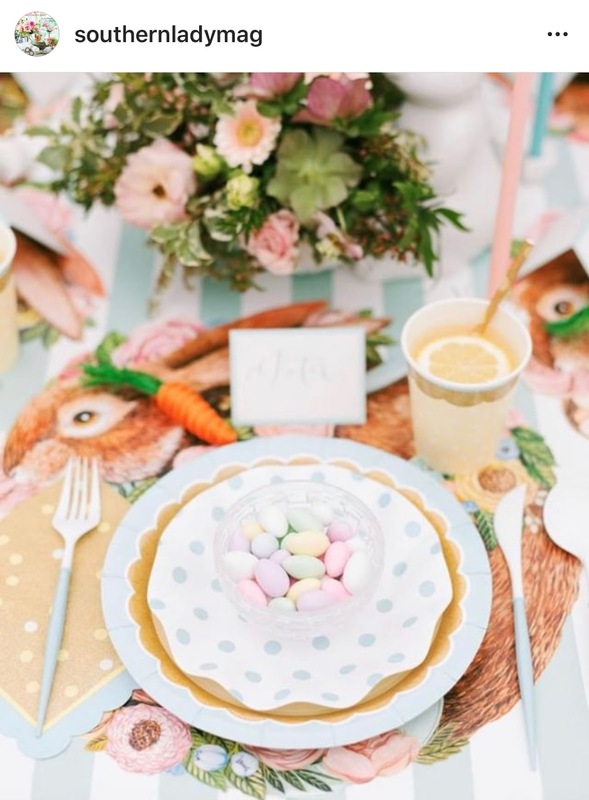 Southern Lady magazine shared the amazing Easter table collaboration Mary and I worked on last week and both of us were literally so very excited. I am a new reader to Southern Lady but a loyal one. This magazine is incredible and the features are fabulous. I highly recommend you get a subscription for yourself and your mother for Mother's Day. What a gift that would be for both of you!! Speaking of Mary (again) ... the cute bunny items from our Easter table are on sale. I linked them all below for you. The entire Easter collection is currently 20% off. I added in all my favorites from Williams Sonoma at the moment so order asap to get in time to set your Easter tables. Starbucks is expanding to add a new branch to their coffee shops ... called Pupbucks ... or at least I thought they were. I added the news to my ongoing list of things to share with you only to find out when I did more research it was a huge April Fools gag. Well, I will say this ... they snagged me! I totally fell for it! After the candle class last weekend my friends and I wandered around a little at Ponce City Market. 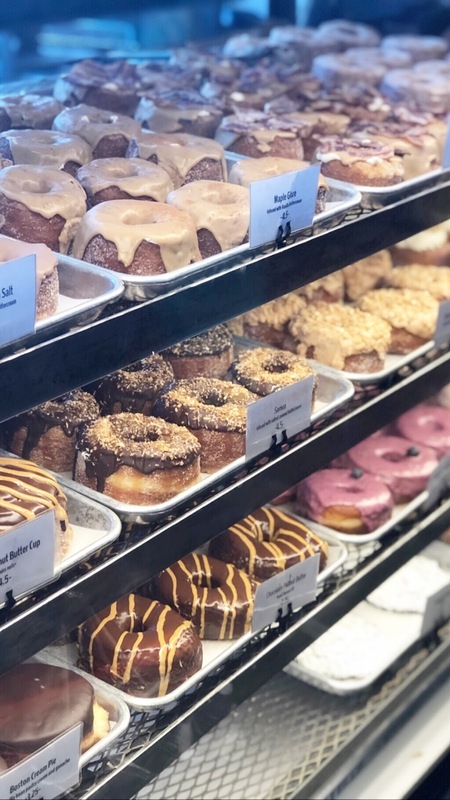 I snagged some doughnuts at Five Daughters Bakery to bring home. I had never had them before and let me tell you this ... they are sooo good. I will most definitely be eating more of them. My favorites were The Purist and Blueberry Lavender which appears to be a March special. They were sooo good, you must try them all. Oh, and how cute is this sign in the shop?? Yes please! Hi, Paige! Another great post - and I always click on every link to see what you have chosen. So, I go right to the sunglasses - NO LONGER AVAILABLE! You sold out Amazon!